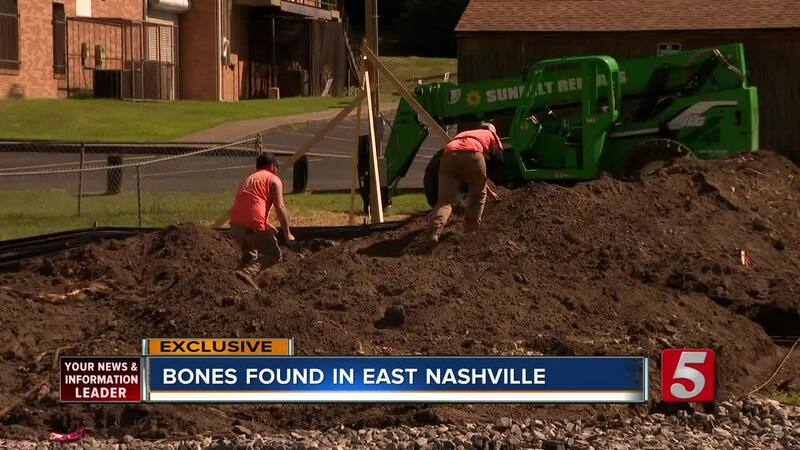 An investigation got underway after workers discovered bones at an excavation site in East Nashville. 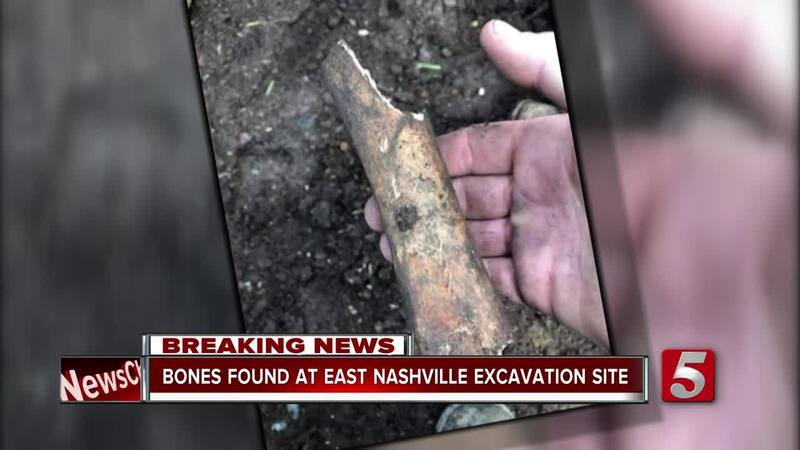 NASHVILLE, Tenn. — An investigation has gotten underway after workers discovered bones at an excavation site in Nashville. This was the second discovery of bones in the past few days. The bones were found at a work site not far from Nissan Stadium. The discovery was made while crews were clearing soil. Tysen Ellis and his crew are used to finding strange things during a dig. At the site off of Main Street in East Nashville, they first uncovered several vintage bottles dating from the 1800s. Then they spotted the skeletal fragments uncovered in the soil. "So we were like, there are bones out here and looked for bones after that and found a large assortment of bones," said Ellis. There's no indication this was an old burial site. It could have some type of Civil War connection, and several old medicine bottles were also found buried in the area. An officer with the Metro Nashville Police Department arrived at the scene to take inventory. Some of the fragments were quite large. It's not yet known if the bones are human or animal. A similar investigation got underway Sunday in Hermitage after a bag of bones was found on a bluff near an apartment complex. In both cases, an anthropologist will likely be called in to identify whether the remains are animal or human.